Berlind Corp. DBA Infinity Mortgage Group is committed to providing our clients with excellent service, low rates and a wide array of loan choices. Whether you are first time home buyer, refinancing an outstanding loan or consolidating consumer debt, our highly experienced team will take you step by step thru the loan process. 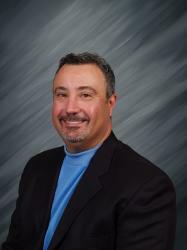 Our broker has 29 years of experience in serving buyers and home owners. Our ultimate goal is to create lasting relationships with each of our clients so that we may continue providing excellent service for many years to come. Lender Paid Compensation Loans- Our fee is paid by you with a credit from the lender. Unlike some Mortgage Bankers and Banks, our fee is completely disclosed and a credit is shown to you to cover our fee. In many cases the lender credit can exceed our fee and is given to you to cover part or all of your 3rd party fees – Typically appraisal, title insurance, credit report, escrow / closing fee, recording and lender underwriting fee. You will see the lender credit to you on the initial loan estimate and on our broker fee agreement. The credit to you is also disclosed on the Closing Disclosure that you will sign at the final escrow closing. The fees are clearly disclosed to you – as is the credit TO YOU from the lender.